Programmatic ads are changing the way that F2P mobile game developers make money. While advertising is the primary revenue-driver for some of the most popular mobile games, the growth of programmatic is bringing in an entirely new, and possibly more lucrative class of demand for their apps: premium brands. In an info-packed, early-morning session at GDC, Ross Barasch, our Sr. Director of Global Strategic Partnerships, joined advertising leaders from InMobi, TubeMogul and Drawbridge, for a conversation that explored the growth of programmatic advertising in mobile games. What’s so great about brand advertising? Premium brands — think consumer-packaged goods (CPG) companies like Pepsi, Colgate or Maggi — have million-dollar advertising budgets, and they’re hungry to reach people on their mobile devices. Since time spent on mobile is dominated by apps — especially freemium game apps — brands that aren’t investing in mobile apps and games are missing out. But many of these traditional brands haven’t been exposed to the world of F2P mobile games, so they don’t know how diverse and valuable the audiences are. Since they often use media agencies to buy and execute their ad campaigns, only mobile games with “mainstream” brand recognition — think Candy Crush or Clash of Clans — make it onto the media plans. And in some cases, brand managers or media buyers may even be biased against investing in mobile games altogether. That’s because programmatic advertising is machine-driven, meaning data and algorithms make the decision about whether a mobile app’s audience is valuable — not personal bias or brand awareness. The “robots” make the decisions in programmatic, and the robots inside demand-side platforms (DSPs) that buy mobile inventory “prefer standardized ad formats across devices,” Bahramipour said. So while that means less human bias, it also means that mobile app developers should choose a monetization platform that offers reliable, open access to the widest variety of standardized, brand-friendly ad formats. And since so much of programmatic buying is based on audience data, being able to give the DSPs and data management platforms (DMPs) the data they need to buy on behalf of brand advertisers is crucial. With mobile apps, that comes down to device IDs like Google Advertising IDs and Apple IDFAs. 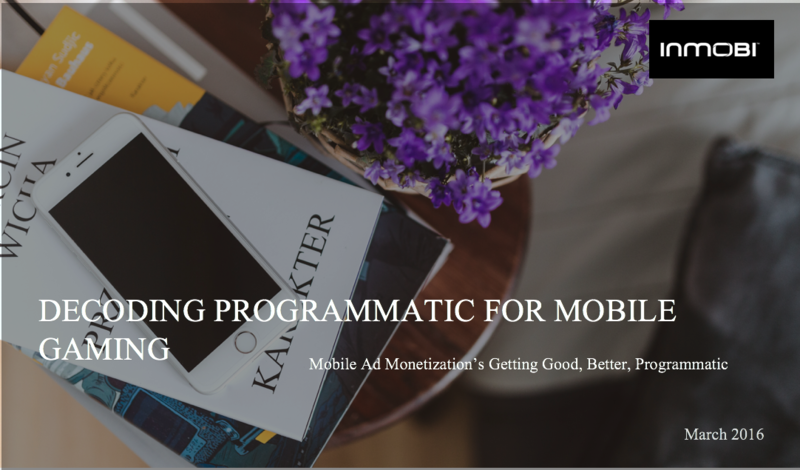 As programmatic mobile advertising continues to gain interest from brands, developers that work with the right monetization partner to ensure that their audience data is clean, and that the SDK they’ve integrated offers the right formats, will be rewarded with higher revenues. At InMobi, for example, Bahramipour said programmatic was delivering “some of the highest eCPMs” for mobile game developers, a testament to the positive effect that an influx of big brand budgets can have on monetization. It’s definitely a trend we expect to continue. 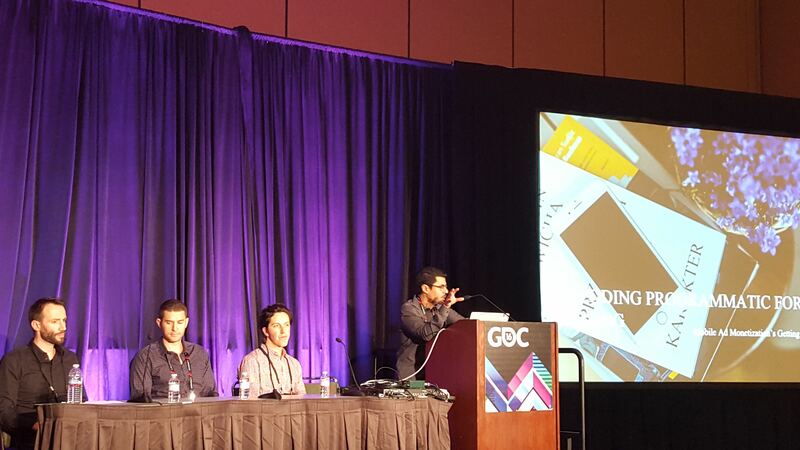 Interested in learning more about how programmatic can boost your mobile game monetization? Email us at [email protected].